WE TAKE YOU FROM VISION TO REALITY! U see Y the approach on each project, industry or client is different. Each client has their specific blueprint in the market with their respective desires and demands when it comes to online presence. Many companies offer “standard solutions”. We do not like paved roads, nor do we like masses and for sure we think that the uniqueness in each client must be cherished and empowered. UseeY we look at solutions from different angles, from client and user perspectives keeping market dynamics into consideration. 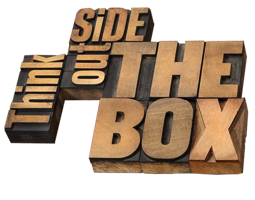 You make the call in the end, but UseeY thinking out of the box might present you with ideas that might open perspectives untouched. Ideas, goals, dreams, visions - they all need to be extracted from inside the brilliant heads and molded into a vivid breathtaking experience. One that your target audience will embrace. That is the challenge we love and implement with much enthusiasm. You are the source of the vision, we are the partner that brings your vision to reality. UseeY has a proven track record of clients that went from a vision to a success story. Before your vision becomes reality, a very important process must take place first before we can make you smile. We are proud to have addressed many questions and issues for our international customers. Obviously your brand is important and you invest accordingly into design, marketing, campaigns or what you believe is worthwhile to ensure you can grow your profit. Your online presence and the way it interacts with your audience can make -or- break you and therefor the technology used wherein your investment is presented is equally if not more important. Speed, responsiveness, usability and intuitivity next to the triggers how easy it is to interact or buy from you highly depends on how your presentation is percieved, technically designed and hosted. UseeY has been involved in Business Solutions, Online Communication & e-Commerce since the early days. We understand as no other the special requirements each customer may need. For e-Commerce this is even more so and as such have our own designed and optimized hosting platform. Contact us here for any request. SMILE! UseeY enthusiasm is highly contagious. Be warned, we want you to smile! We asked UseeY to come up with a solution to design & build a platform for all our members to share, find & discuss products within our network of 50+ partners all over the world. UseeY delivered a platform that stands out and brings competitive edge. With this platform we & all our members can easily find, discuss & share vital information in our company & industry as well that it integrates our systems PIM, Backoffice, CRM & documents. It offers way more then we anticipated and has a global reporting on the fly. UseeY delivered on time and within scope, would recommend UseeY without a blink. As Conformatix we hired UseeY to develop a SAAS solution for our compliance platform but ended up granting them all development for the platform as well as the website with integrated shop. We are extremely satisfied with the results and will continue the relationship to extend the platform in the future. Partnering provides an essential foundation for today’s multiparty development project teams. I have partnered with many of the UseeY projects and have seen them cultivate an environment of trust and mutual respect. I have been impressed by UseeY's professionalism and dedication to their customers and would recommend their services. When we first approached upon Useey, we were intrigued by their approach. Challenging our ideas with respect in our very conservative market, providing ideas and insights, backed by knowledge. So we decided to hire them. The System integration they provided along with the e-commerce environment and custom development to satisfy our needs, well, we can only say, do the same, they promise you a smile, you will get it. For one of our clients we needed an e-Commerce solution with specific bundling & e-procurement requirements which proved hard to find. Once engaged with UseeY, they truly understood what was needed. They acted fast and scoped out a well outlined solution. They build the webshop, punchout-integration, SAP interface and the bundling tool within the budget and very limited timeframe while even adopting changes due to ongoing insights. They also acted as a liaison between us, the customer and the e-procurement supplier making this a very smooth and well delivered project. Useey Asked us to write something here how we think they did. Well, that is easy. They build our Website & e-Commerce site and helped us even with the setup of all products & content. If you are in need for a partner capable of helping you out, are ahead of the curve, live up to their promises & meet deadlines, please look no further, they are worth every penny I spend and some more! We've worked with UseeY on several projects over the past few years - they were a pleasure to deal with. Our clients had specific requests for modern e-Commerce sites with inventory capabilities and that were easy to manage internally. UseeY had the answers - they are easy to deal with - have an understanding of not just the IT, but the business requirements in preparing projects of this nature. We look forward to working with UseeY again in the future. Useey asked us a lot of questions that took us rather by surprise. We realized that in this fast evolving world, Useey could really help us to be more competitive in our market. Once the scope was clear, they projected, build & delivered the desired website & e-Commerce solution - in time - to help our company reach the next level. No challenge too big, no detail too small. Focus on result. UseeY created experiences and respected solutions for small startups as well as for the famous Fortune 500 companies. Big picture vision meets serious detail-sweating at every point of a project. Exceptional websites and app experiences are a blend of the right message and the right technology. Our interactive design approach focuses on usability, impact, and achieving results. Whether a new or established business or organization, you can look to us to best articulate who you are, what you do, and most importantly, why any of it matters – beautifully. The best-planned experience is wasted without a top-notch implementation. We craft supremely functional websites and applications engineered for stability, performance, and long-term adaptability. We go well beyond just coding. Our experienced business analysts dive into your business to ensure we get all your requirements, limitations, and/or challenges. Our great team then adjusts them into processes for your convenience to successfully deliver your product. It’s as simple as that. UseeY can help you with custom development, enterprise software development, the development of apps or mobile apps, custom system integrations or other solutions you have in mind or need. Is your product in need of enhancements? Do you want its functionality to go beyond the standards of a platform? Does it require support? Our services include customization, integration of 3rd-party components and much more. UseeY develops the MVP for you with a rapid time to market. It allows you to outline your product’s core value proposition, minimize rework, while reaching out to your customers. Well executed e-commerce solutions require excellent user experience and expert technical solutions. We use the best open source solutions and web-based platforms to build sites that look great and convert well. UseeY has a proven track record in planning, designing, developing and successfully launching technically challenging e-commerce websites using Magento. We understand and love technical challenges on new or existing projects. UseeY we still tune our proven methodology over the many years to ensure an efficient and transparent process that makes your deadlines met and completed within budget! Our skilled team of project managers will liase with your team to craft a detailed project specification leading into a sprint led development cycle. The plan is managed using the very latest Agile Development methodology controlled and monitored by Jira Software (by Atlassian). This level of documentation allows for a greater standard of transparency, reporting and flexibility throughout the development cycle. We offer customized Magento extension development to address your specific needs of your eCommerce store. These are the extensions that will be the deciding factor to success. We offer inspiring layouts, enticing control features, unique shipment options, easy navigation for clients while browsing through the products, check-out alternatives that are hassle free, multi-lingual support and multi-currency support. There are many Magento modules offered for a wide range of fields and blogs integration, flash widgets, jQuery zoom widget, SEO extensions, sitemap extensions, shopping list extension, custom price extension, product options extension and many more. You name it and our Magento developers will get down to work to come up with the best solutions for you. Web hosting is a service that allows organizations and individuals to post a website or web page onto the Internet. A web host, or web hosting service provider, is a business that provides the technologies and services needed for the website or webpage to be viewed in the Internet. Websites or eCommerce sites/webshops are hosted, or stored, on special computers called servers. When Internet users want to view your website, all they need to do is type your website address or domain into their browser. Their computer will then connect to your server and your webpages will be delivered to them through the browser. Hosting a website or a webshop requires a different approach and/or technology. When you host Magento, this is even more so as it requires specilized hosting knowledge and technology to make sure your servers run well and more important convert potential into sales. SEO is the process of maximizing the number of visitors to a particular website by ensuring that the site appears high on the list of results returned by a search engine. The key to getting more traffic lies in integrating content with search engine optimization and social media marketing". Building a strong site architecture and providing clear navigation will help search engines index your site quickly and easily. This will also, more importantly, provide visitors with a good experience of using your site and encourage repeat visits. It’s worth considering that Google is increasingly paying attention to user experience. When it comes to how much traffic is driven by search engines to your website, the percentage is substantial, and perhaps the clearest indicator of the importance of SEO. You are looking into CRM? Well thats good news as it means you take your contact relations serious and understand that putting a solid system for the golden processes in your organization makes total sense. Why do you need CRM? Now thats the million dollar question, isnt't it! And how tacky this may sound, it is your starting point to identify all your prerequisites and define the scope. It will ensure that you will not "simply" implement a system because you think you need it. Just know, no software investment is worth a penny if your users arent using it. When it comes down to implementing CRM in your company, UseeY can guide you through the important steps prior, during and after implementing CRM ensuring you will benefit from such investment. USeeY walking hand in hand through the implementation, together as partners shows our comittment to your success. We do state we want you to smile now don't we! The puzzle must be laid out before one can actually start. Often one is in a hurry, eager to realize or under a deadline. It is vital however that the expectations and goals are clear to everyone involved. This phase is equally important as realizing the vision to code and production. It is our job to make sure the functional, technical and optical design meets your expectation and more important puts your buyers into motion! When the design & development phase has ended, we come to the crucial testing and debugging phase. We admit, being human and all, that mistakes are inevitable. However, the phase in which we allow these to happen, is not inevitable. Therefor the Testing phase will always be part of the process, making sure that once the technical parts are developed, they work as designed and as expected. Only then will we show what is ready & ask you to do your part towards the acceptance. It is time, to take your vision to reality. As always we see that during the development and testing phase, there might be additional insights that generate new or changed functionalities. By default we will discuss the changes and push them behind the go-live date, all other options can be discussed, you are the king, we at UseeY are the mere builders. The time has come, your dream, your vision will become reality and set its first steps in the vast world of the Internet. An important milestone for each project. Naturally we can help you monitor the impact and provide the insights ensuring that the vision has been delivered to your liking. At the end of this phase we know you will smile, and will gladly add you to our proud list of references.